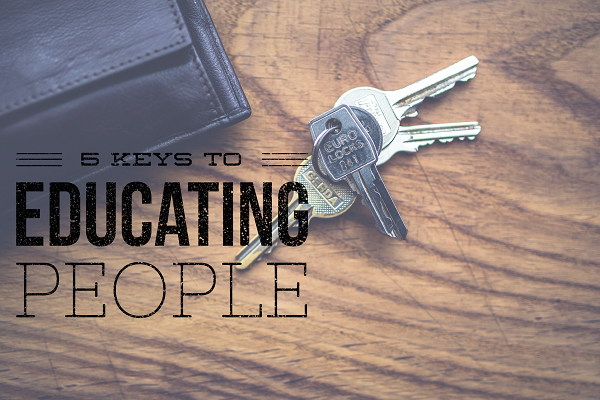 5 Keys To Educating People | So You Want To Teach? During my first two years of teaching, I discovered that I had a whole lot of information, but the students just weren’t listening to me or learning from me. It is not, mind you, because I was giving them wrong information. It was, however, because I had placed the priorities in the wrong order. When we have the proper perspective, we will end up teaching far more than we ever imagined we might teach. When we have the proper perspective, we will end up teaching far more than we ever imagined we might teach.Not bad, but it didn’t work. There was a lot lacking. Now that is good, but there were a lot of things missing from that strategy. When children know what they are supposed to do, they will do it most of the time. When they know why they are supposed to do it, they will do it more often. When they buy into it and really want to do it, they will do it every time. So the problem is more than simply getting them to understand why they are supposed to follow directions. However, if you are only able to get to that point and make sure they understand what to do and why to do it, you are way ahead of the game. But if we simply stop there, we are missing out on so much more. As a side note, I would like to add that most of the time we find ourselves getting mad at people, it is because they are doing something they were not specifically instructed to not do. This is true, especially in the case of kids in a classroom. I still find myself doing that…getting upset at kids for acting like kids when I didn’t tell them specifically not to. Before we yell at them for tracking dirt into our room, we better make completely sure we have specifically told them to wipe their feet before they come in here. Or else, we are punishing them for our own stupidity! Motivation is the result of the first two keys interacting. The first is absolutely essential. But it only comes after the philosophical foundation is in place. We will look at the five keys to educating people in order and address the top three as one unit, since they actually are all interdependent. To radiate is simply to give off a warmth. That comes from loving what you do. But, as I hinted before, you cannot truly love what you do until all of the components are in place. Then it will become a self-recharging cycle. In my first two years of teaching, I would go home at nights and cry. It made me miserable. Oh yes, I loved the fact that I was a teacher, but I didn’t love the fact that I was not impacting lives the way I had once envisioned that I might. 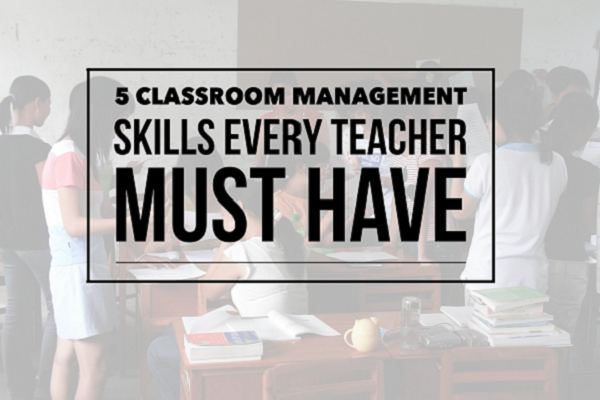 After my understanding of classroom management changed, I began to see results. I began to see the proverbial light bulbs coming on and learning began to ensue. It was, and still is, a most incredible feeling. To know that they know something now that they did not know before. They have a skill now that they didn’t enter the school year with. What an awesome thing! Have you ever heard Ben Stein? He is incredibly funny and a wonderful financial writer. But for the uninitiated, his delivery is relatively lacking in energy. “Dynamic Speaker” would not be an appropriate description for him. When you are working with a large group of children, regardless of age (even ten five-year-olds would be a large group), then you must be able to make them enjoy the time they spend with you, or else run the risk of having them blow you and the subject matter off completely. Anecdotal evidence abounds (here, here, etc.) as well a scientific research that confirms the positive learning benefits of being in a good mood. I want to clarify that our role as educators is not to entertain children at the expense of instructing them. Simply that while we are instructing, we can use entertaining methods of delivery. Keep in mind that children running out of your classroom as soon as the bells rings is not a good sign. So how did you say we motive them? Motivation comes from a wide variety of sources, but one of the greatest is simply loving what you do. That comes after you are able to get them quiet, which has a lot to do with classroom management techniques. We’ll discuss those more later. Great stuff as usual, Joel. Let me just add that this is these are the kinds of concepts that make us professional educators, not just musicians with a teaching gig. We are much more likely to be taken seriously by administrative staff – who hold many keys to helping or hindering our programs – when the concepts you’re writing about are evident. This post brought back warm memories. When I began teaching junior high over 40 years ago (yes, I was a child prodigy)I, too, bounded into my English class expecting to expound on Shakespeare. It was the year after the 1965 Watts Riots in the heart of Watts. It didn’t take me long to realize that my approach was a total misfit and needed a radical overhaul. My desire to make an positive impact on my students’ lives made me take a close look at the lives of my students and their needs. My success as a teacher was in allowing them to show me what it means to be a teacher. 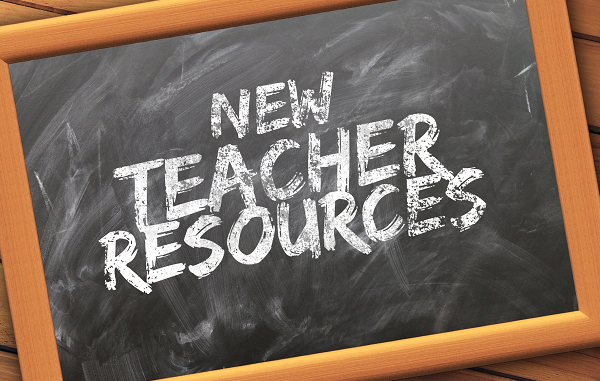 Even years later when I moved on to teach university and community college classes I still used classroom management and teaching techniques that evolved during my eight years of junior high teaching. During my last semester before retiring college teaching I received an email from North Carolina from a young teacher. She wanted to know if I could suggest some sources that would help her in setting up a critical thinking program in her community college. But more importantly, she wanted to know if I was the Mrs. Brown who taught English at Markham Junior High School in the 60’s. A kaleidoscopic wave of pride, joy, gratification and gratitude washed over me. She was a student from my early days of junior high teaching. She thanked me for the inspiration I gave them, but most of all, for holding them to a higher standard. I was especially surprised that she and a number students from the early days have reunions where they mimic some of the things I used to say in their classes. Reuniting with this student was perfect closure for my 42 year teaching career. If I had to point to one thing that enabled me to enjoy teaching success is that I enjoyed myself in the classroom. I used humor, lively participation, colorful bulletin boards and surprise activities because I did not want to bore myself. My most powerful strategy, however, was engaging every student in the class. Long before “No Child Left Behind” (education’s latest flop,) I left no child excluded. I insisted that every child participate at whatever level they could. Because I created a warm and accepting environment (no teasing or snickering allowed unless you want to be the object of it)I got what I wanted, and students got what they want more than anything in this world–to be included. Welcome to the blog! I look forward to reading more of your insightful comments. This was a really inspiring post. It is important for a student to know you care.